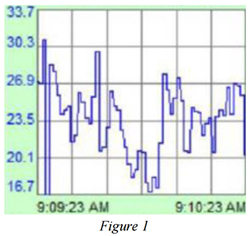 Wind gusts can increase wind speeds at rates and for durations just long enough for the energy to enter the system, but sometimes too fast for conventional pitch control systems to respond adequately. A Certificate of Occupancy on a building constructed of 60 Intermodal Shipping Containers is a huge accomplishment for Paul Wever, president of Chip Energy Inc. The CTS reactor creates a mechanochemical reaction within minutes and breaks down the cellulose to its base components of C5 and C6 sugars and Lignin. The sugars can then be fermented to create biofuels, fine chemicals, or a number of other items including pharmaceuticals, carbon fiber nanotubes, construction products, and nutraceuticals to name a few. IEC provides a framework to test and certify renewable energy technology. Solar Decathlon 2017 takes place in Denver, Colorado, at the 61st & Peña Station October 5–9 and October 12–15, 2017. 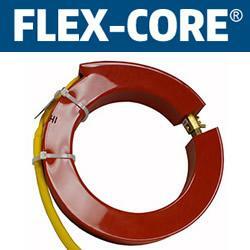 The FCL model split-core current transformers have multiple benefits, including a flexible twisting motion for ease of application. Installing a split-core CT means there is no need to disconnect your primary conductor(s) which reduces downtime. Many customizations are available including extended secondary lead wire lengths, various outputs including 5A, 1A, 1VAC, and 0.333VAC, and custom rubber inserts to help center the CT and maintain accuracy. The FCL models can be used in applications up to 720VAC and have an operating frequency from 50Hz to 400Hz. As the online leader in Nickel-Iron batteries, Lithium-Iron batteries, solar power and renewable energy products, Iron Edison is providing people with off-grid, clean energy solutions. Whether you need to replace batteries for your current system or a fully-customized package renewable energy solution, Iron Edison can help.